Yemen is located on the southwest corner of Arabian Peninsula and occupying 527, 968 km2 and this area makes from him the second largest country onthe peninsula with population 24,8 million in 2011 according UN statistics. It is bordered to the north by Saudi Arabia and to the east by Oman. The western coastline faces the Red Sea, and the southern coast sits on the Gulf of Aden and the Arabian Sea. Geography of Yemen is diversified. 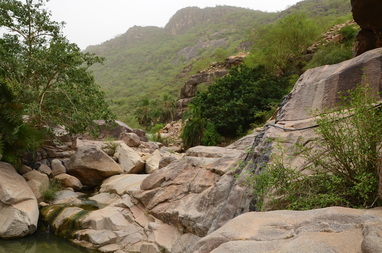 Find here the mountain highlands such as ‘Asir mountain range, Sarat Moutains of Yemen. Further to west, the elevation then falls dramatically in little over 25 km between the mountains and the coastal plains of the Tihama. In the eastern part of the country, the landscape is dominated by the inhospitable limestone plateau of the Jol. In the center of the Yemen lie the deserts of Ramlat as-Sabatayn and portions of the Empty Quarter, the largest sand desert in the world. The climate of the country varies according to these geographical regions. The region was nicknamed „Arabian Felix“ due to abundance of rain in the area, especially in comparison with other parts of the Arabian Peninsula. There are two rainy seasons that mostly affect the central and southern mountains. During May-April and August-September these regions are subject to rainfall daily. Yemen was fully unified, politically, in 1990. Before this, religious, political and tribal differences had always created natural barriers to any kind of uniformity or homogenity. Named Arabian Felix along with the rest of the peninsula by the Romans, Yemen’s geographical location, on the south-western tip has both created its wealth, but also made it strategically attractive to occupying forces. 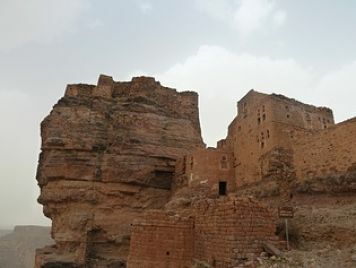 Yemen first came to prominence around 1000 BC with the start of the frankincense trade routes, which were set up to supply the insatiable demands of the Egyptian and Roman empires. 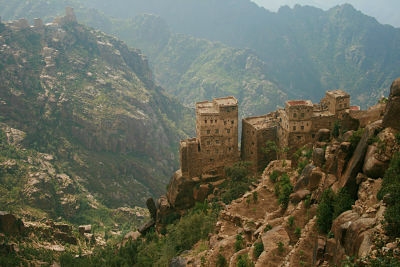 The southern coasts of Yemen and island of Socotra were producers of frankincense and myrrh. Equal in value to gold, incense produced from the frankincense trees was used by the Egyptians in the mummification process and burnt as an offering to the gods. By learning to use the monsoon winds before the Mediterranean peoples, Yemeni merchants were also able to add more treasure to their caravans in the form of spices, silks, swords and ivory whose Indian origin the Yemeni traders kept secret. The Romans had unsuccessfully tried to invade Yemen in 24 AD, but it was not until 1507, when the Portuguese took the island of Socotra, that European colonialism began to affect Yemen. As a response to a failed attempt by the Portuguese to capture the Aden, the Ottomans, fearing supremacy in this strategic area controlling the entrance to the Red Sea, took Aden in 1538. They managed to wrestle control of Sana’a from the Za’idis in 1547. Economically this was an important time for Yemen as the coffee trade flourished under Ottoman occupation. From Al-Mokha on the Red Sea coast, Yemen became the world’s leader in coffee production. This lasted for over 200 years – until its status was diminished by the theft and consequent replanting of seedlings in Brazil and Indonesia, which created new areas of production. The Za’idis had managed to expel the Ottomans from Sana’a in 1636, thereby ending their first occupation. Although Saudi Wahhabism threatened them from the north, it was through concerted efforts that finally, in 1728, the successful annexing of Aden by the neighbouring Sultan of Lahij diminished Za’idis power. Any state that held Aden and its agricultural hinterland held the key to wealth from taxation. This separation of Aden from the Za’idis effectively started the process that was to lead to the formation of two Yemen later in the 20th century. Aden was an extremely important strategic point, similar in influence to Gibraltar or Constantinople (Istanbul). In 1839, as their Empire expanded, the British took the port from the Sultan of Lahij initially because of their requirement for a coaling station and a supply stop on the way to India. In 1905, the “velvet line” between Ottoman Arabia and British Arabia was drawn, marking out what was to become the two states of North and South Yemen. A year earlier, leadership of the Za’idis was passed to Imam Yahya bin Mohammed, who immediately established himself as an influential and charismatic leader by vowing to evict the Ottomans. Years of bloody fighting eventually produced a treaty in 1911, which allowed the Za’idis a certain amount of autonomy in the Highlands, but it was no until the end of the First World War in 1918, with the Ottoman empire in tatters, that the Ottomans fully withdrew. This left Imam Yahya in effective control of the north of Yemen. However, in order to maintain control over a number of warring tribes, Yahya used a policy of isolationism, which left his country chronically under-developed. He was assassinated in 1948. Although his son and successor Imam Ahmad ushered in small amounts of progress, the inequalities of his rule and the medieval state of the country proved to be a rich breeding ground for feelings of pan-Arabism as articulated by Egypt’s President Nassir. It eventually led to the revolution in the North, following the death of Imam Ahmad in 1962. Although briefly succeeded by his son Mohammed Al-Badr, a coup by army officers began a long and bloody civil war that was only ended in 1969 with the founding of the Yemen Arab Republic (YAR). Abdurrahman Yahya al-Iryani led North Yemen until 1974. He prepared a treatment with South Yemen about unification and new constitution. After coup in 1974 took control over North Yemen Ibrahim al-Hamdi. Under his leading North Yemen was developing and he made a huge progress in improving relationships with South Yemen. He was assassinated in 1977. The lack of British presence, combined with the closer of the Suez Canal, caused a big economic downturn in Aden. The leftist politicians, who had overthrown the British, found generous support from the Eastern Bloc and China, which eventually led, in 1970, to the formation of the Arab World’s first Marxist state, the People’s Democratic Republic of Yemen (PDRY). Border disputes and tribal tensions, as well the assassination of several presidents of the YAR, led to the election of Ali Abdullah Salleh as president in 1978. Under his strong leadership the North became more settled. The collapse of the USSR and Eastern Germany forced the PDRY to re-evaluate its political alliances and led to it eventual unification with the North in 1990. A new constitution was drawn up, giving equality to all citizens as well as democratic right and freedoms that had not exist before. Despite another brief civil war in 1994, Yemen has enjoyed a period of relative calm. As in the most Arabic countries not even Yemen could avoid the problems in 2011. After economic crisis and long leadership of president Saleh disaffection was rising and people went to the streets. After negotiations with the GCC (Gulf Cooperation Council) the new president became Abd Rabbuh Mansur Hadi. Tours in Yemen are remarkable and exciting and we will be very glad to let you to experience this adventure with us. 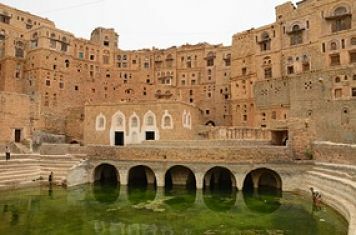 Sources: Visitor’s Complete Guide to Yemen; Yemen (Bradt Travel Guide), http://whc.unesco.org/en/statesparties/YE/ etc.